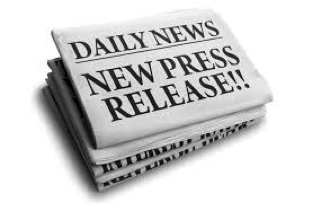 A press release is simply a news story you write about your organization and distribute to the media to publicize your products, services or activities. Stories that are published are referred to as “Free” or "Earned" media as opposed to paid advertising. Here are 15 Rules for creating a press release. Follow them and you'll dramatically increase your chances of being “picked up” and run by the media. 1. Be simple and straightforward. It’s a press release not an advertisement. Make sure it has “news value”. 2. Be concise. Write only as much as you need to tell the story. Editors get turned off by excessive wordiness and won’t publish your story. Aim for a single page. Two at most. If you go to page two, put the word “more” centered at the bottom of page 1. On the second page, place an abbreviated (1-4 words) version of the Headline at the top. Place the page number (2) in the upper left hand corner. 3. Be clear and accurate. What you say is paramount. Fancy letterheads or fancy layouts have little or no effect on editors. 4. The headline should sum up your story. Maximum length, two or three lines. 5. The lead paragraph contains the “who, what, when, where, why and how”. 6. The body of the story contains the details/additional facts. Lay off the superlatives and complimentary adjectives. This is a news piece, not an advertisement. 7. Use Eye-pleasing spacing and margins. Use either double-space or 1.5 spacing and generous side margins – at least 1.25”. Like most of us, editors don’t like to read long lines of scrunched-up type. 8. Use quotes (even if the story quotes you). Be sure to identify the speaker - first and last name – always. Company and position if possible. 9. Use a common font (like this). It’s easier to read – and editors are used to seeing it. 10. Use light colored paper and dark colored type. NEVER use reverse (light on dark). 11. Use photos if possible and include captions. People – including editors – read headlines first and captions second. You can include the picture and caption on a separate sheet. 13. Indicate the end of the story by writing “# # #”, “-END-” or “-30-”, centered below the last line. 14. Date “For Immediate Release”. If you have a specific date you’d like to see it run, then date it one day before your target publication date. 15. Include the Source. Disclose the writer’s name and contact information as the source of the release. Mention your website if you have one.